Show off sophisticated taste in the Rieker 61995 sandal. 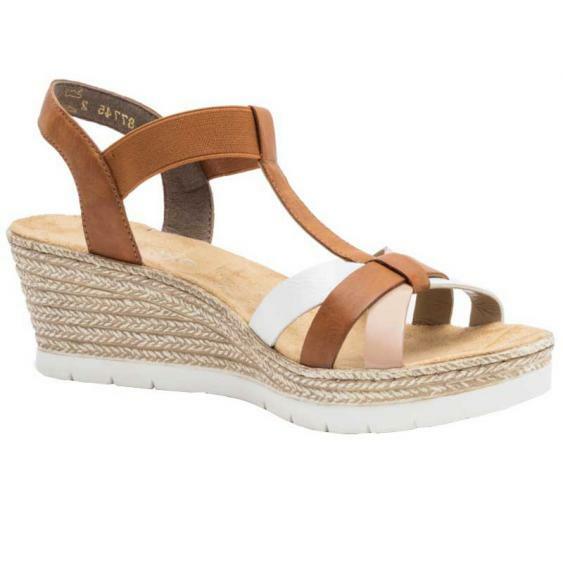 This women’s Euro-inspired wedge boasts a durable synthetic upper with straps of different colors so it pairs perfectly with a variety of outfits. An elastic strap ensure on/off ease and a perfect fit. You'll find superior comfort in the super soft Rieker insole. A RIRICON outsole provides traction and absorbs shock with each step. Get classic styling with modern details in the Rieker 61995 wedge sandal.